Thinking of Planting? Now’s a Great Time! 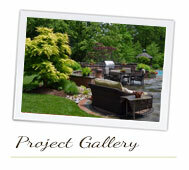 Do you have the perfect spot in mind for a new tree or grouping of shrubs? Maybe you lost a plant, or some of your older shrubs need to be replaced because they’ve become overgrown. 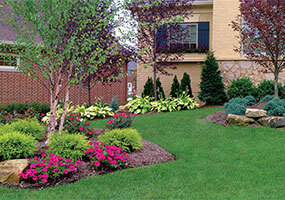 If you’re in a newer home, chances are there are still some parts of your master landscape plan to be installed. 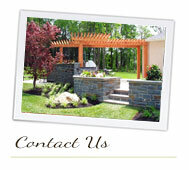 Or, if you’re planning to move, your landscape may need a facelift before you put your home up for sale. Whatever your situation, if you want to install trees or shrubs, fall is a great time to do it. 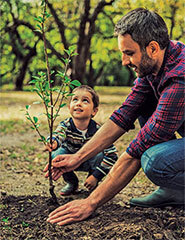 The cooler weather and more plentiful moisture give landscape plants a chance to put out roots and get used to their new home before the stress of next summer’s heat and dryness is upon them. They’ll have an extra growing season to become established, and you’ll have the pleasure of seeing your new landscape plants bloom or leaf out next spring. 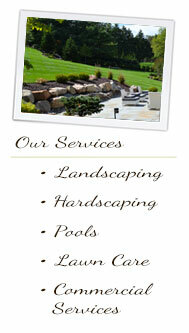 As with any landscaping project, it’s always a good idea to get professional advice and help. You’ll get top-quality results, your project will be done quickly, and your back muscles will suffer less as well! Core aeration. Removing plugs of thatch and soil from your lawn will make it easier for fertilizer and moisture to penetrate the root system. This will lead to stronger roots and a greener, healthier, more robust lawn. Reseeding. New seed can be added to your lawn in combination with core aeration. Or, slice seeding can be used to place seed directly into the soil for better germination rates. Complete replacement. If it appears that core aeration or reseeding won’t do the trick, it may be necessary to remove all existing turf from your yard and start over by laying down new sod. This is usually only necessary for badly damaged or very thatch-heavy lawns. Is your lawn getting thin, turning brown or developing spots that just don’t look as good as they should? Over time, most soil becomes compacted or hard, and your turf has trouble filling in those thin and browning spots. Drought, disease and insects can also take their toll. 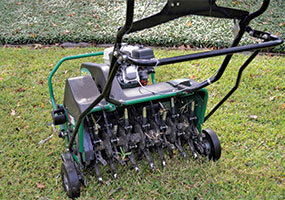 If any of this sounds familiar, aeration and overseeding might be just what you need. All lawns, regardless of their condition, can benefit from some level of renovation every year or so. One of the best means of rejuvenating turf is to combine the power of professional aeration with overseeding. During aeration, a machine known as a core aerator pulls plugs of soil and thatch up from the lawn to break up compacted soil and create more room for air, water and fertilizer to reach the roots. This results in expansion of the root system for thicker, healthier grass. Aeration also helps to break up thatch, which can prevent water, fertilizer and insect controls from reaching the soil if it gets too thick. Following up aeration with overseeding is a great way to thicken up a thin lawn or add a hardier, more drought-resistant grass variety to your property. Good seed-to-soil contact is essential for seeding success, and the new grass seed will have an easier time growing in the holes left behind by aeration. Keep in mind that if your lawn has been seeded, the soil should be kept moist with light, frequent sprinklings until the new grass is well established. 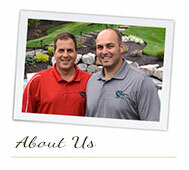 For more information on lawn renovation, or to schedule aeration and overseeding, give us a call today.